This post has a bit of jumping around in it! Christmas Eve I got off work a little bit early (thanks to my very awesome boss). I got to my car and realized I had a low tire–on the way of becoming a flat tire. Blasted! Poor timing. I drove to Les Schwab and they were just closing up shop. Damn! But the guy there took one look at my tire and said it was a flat and he fixed it. It took him like 10 minutes, tops, and didn’t charge me anything. When I asked he just shrugged and said “Merry Christmas” and gave me a hug. I was SO grateful that he fixed my tire and I didn’t get stranded somewhere when everything was closed. I have always had fantastic experiences with Les Schwab and will always take my business there. Our friends Erika and Charles came over. We had some yummy drinks (they had beer, I had eggnog!) and we had popcorn while we watched the movies. I love The Ref. Bella snuggled on the couch with them. It was pretty cute. The day after Christmas Michael, Bella and I went for a hike in Forest Park. Forest Park/Washington Park is a humongous park in the middle of the city and there are so many trails you could never do them all! I wanted to do something in town as opposed to driving out to the Gorge. 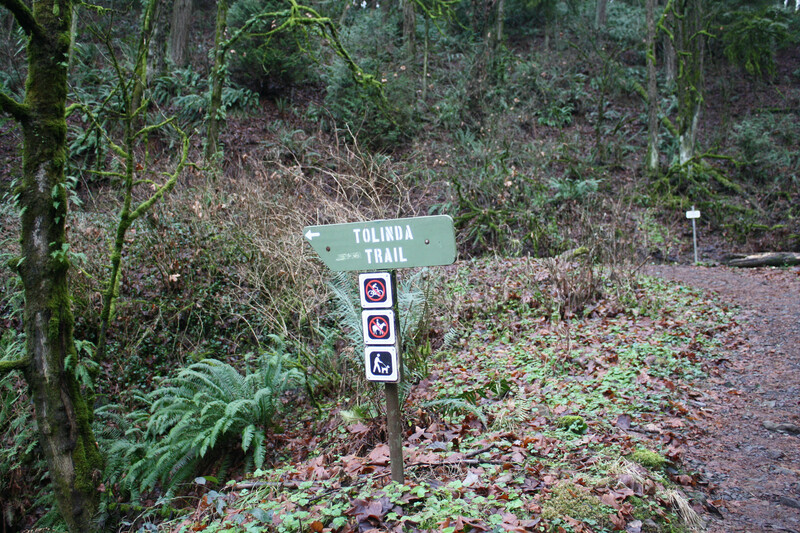 I chose Tolinda Ridge Trail Loop. 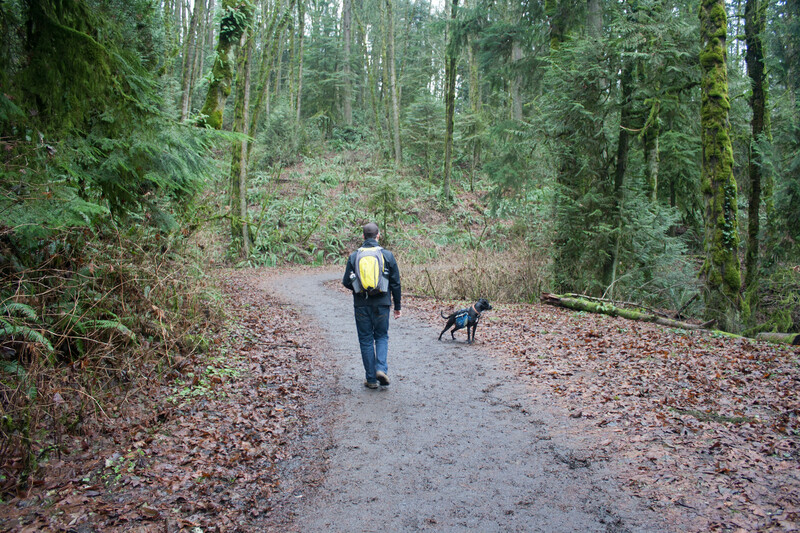 It was out near St. Helens and the trailhead was super easy to find (just off Germantown Road). There was a small parking lot and we got a spot. The trail started out with a very steep incline. There was even a spot with “stairs” made out of tree roots. 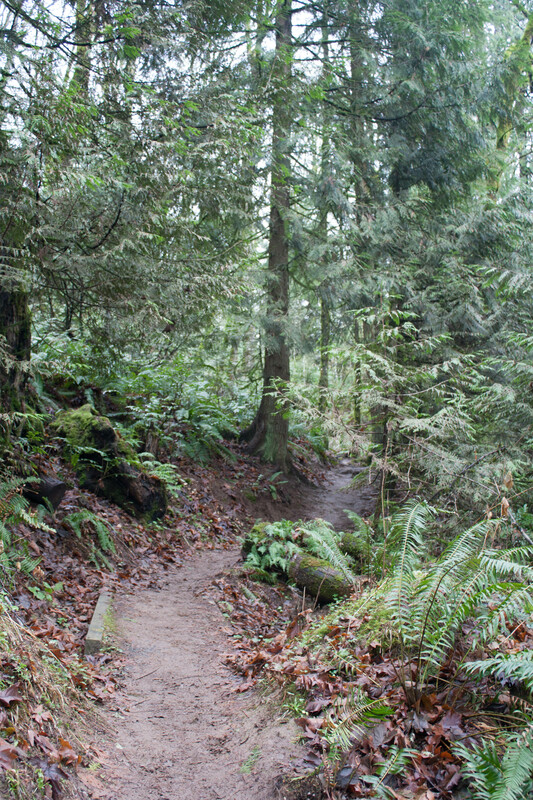 The rain lately had sogged the trail pretty badly but it was manageable. It leveled off a little bit while we hiked away from the road. The Tolinda trail itself wasn’t very long. It was steep and almost all uphill. 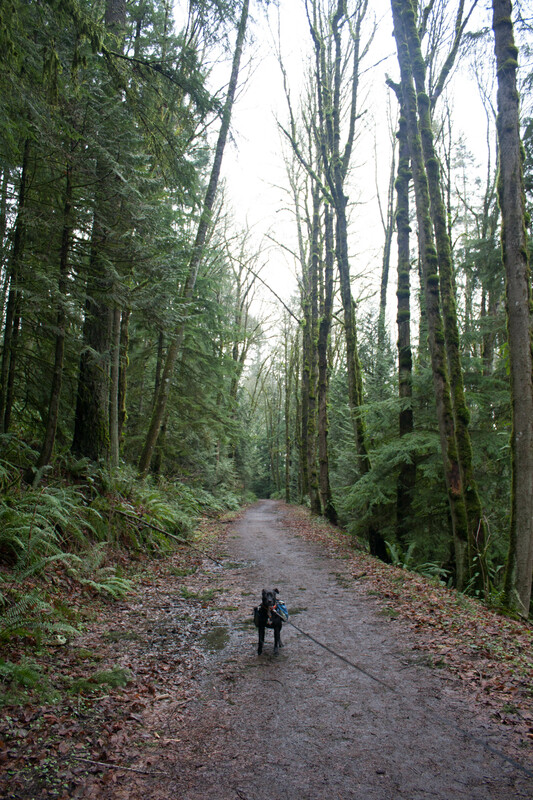 We tromped through the mud and the old growth forest, and then came to a fork in the trail. It wasn’t labeled. 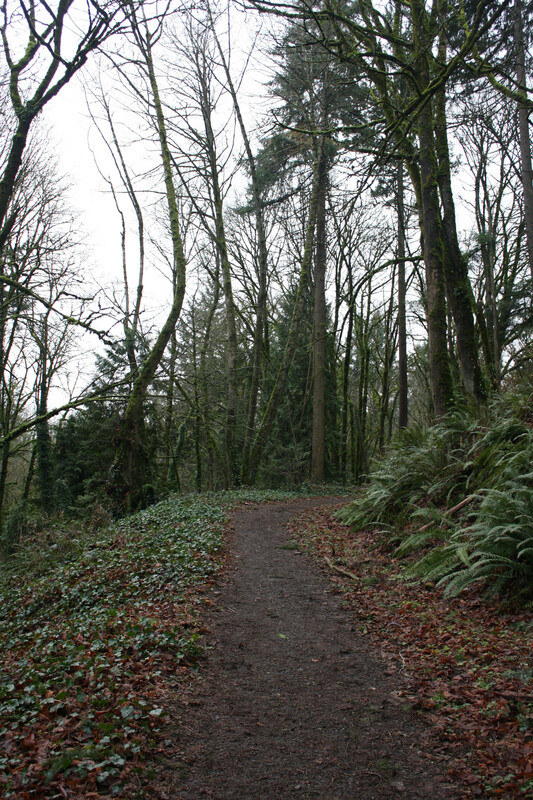 One way lead to another trail (I’m guessing the Ridge trail) and the other way went to the Leif Erickson parking lot. We decided to go that way because I knew that there would be other trails to pick up at that parking lot. 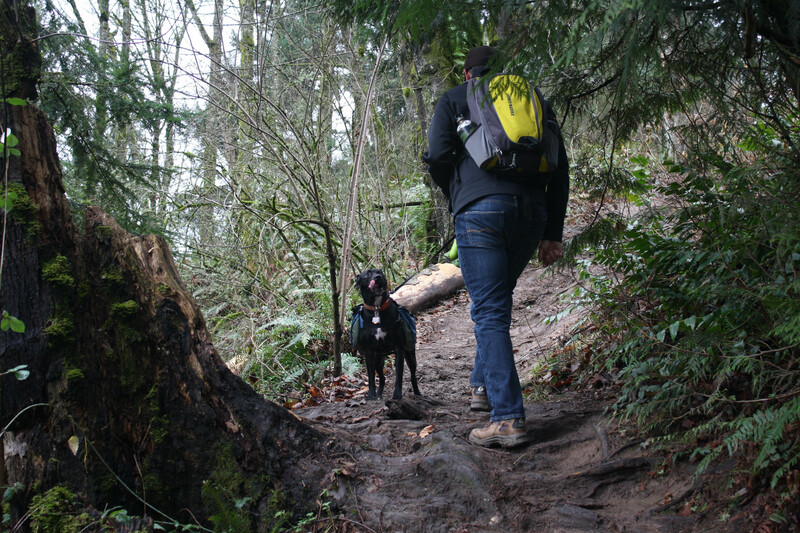 We hiked through the paved (yet still muddy) part of this trail and came across a lot of families out hiking. Bella did SO GOOD! I think this is the first hike we’ve done this winter. It was just another reminder that she’s getting grown up. She didn’t seem bothered by any of the strangers we came across, wasn’t scared of the little kids she met and even seemed curious. Most of the dogs we came across didn’t bother her and she didn’t bark (except for one dog that was a little yappy). There were a bunch of families hiking, there were a few different trail runners and we came across a few mountain bikers, too. It was a popular stretch of the park. 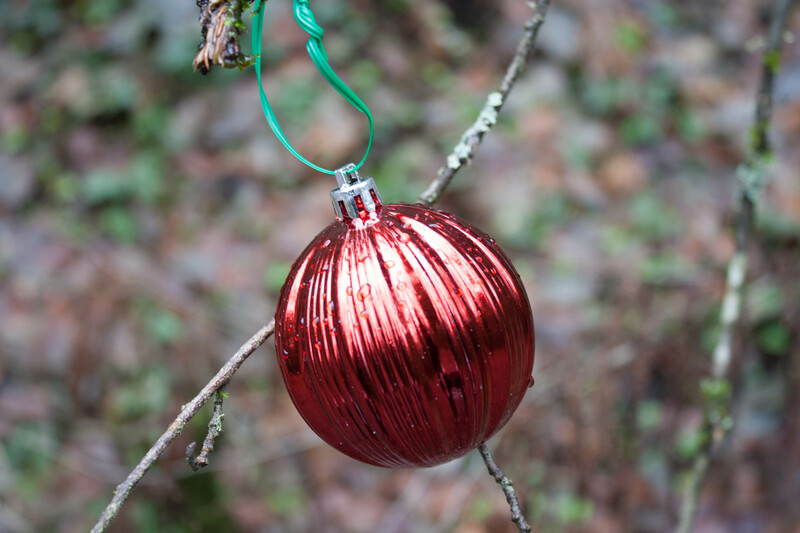 We came across about a dozen Christmas ornaments! 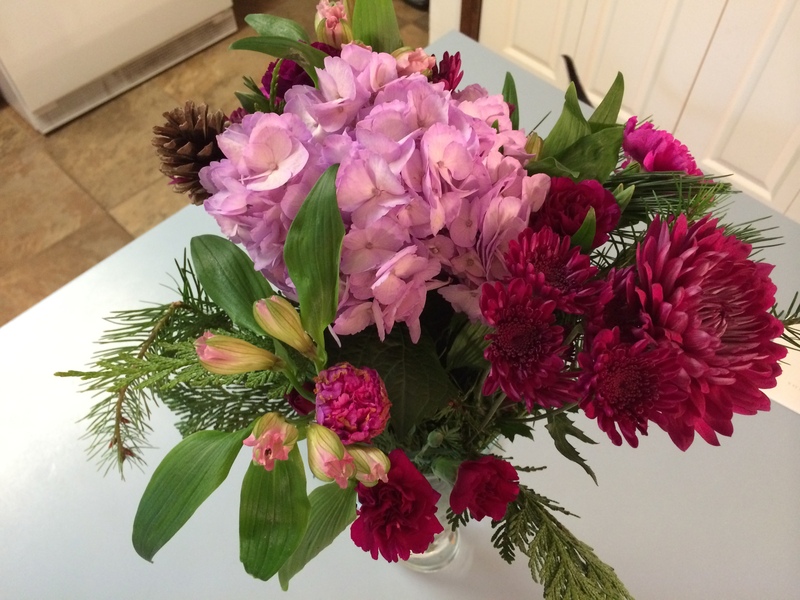 It was such a nice, festive surprise. 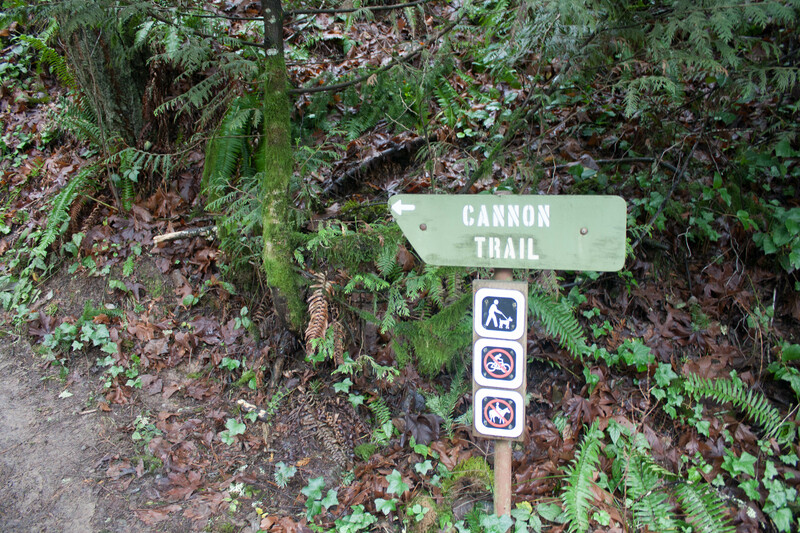 We got to the parking lot and found the Cannon Trail. According to the sign, it was a new trail. 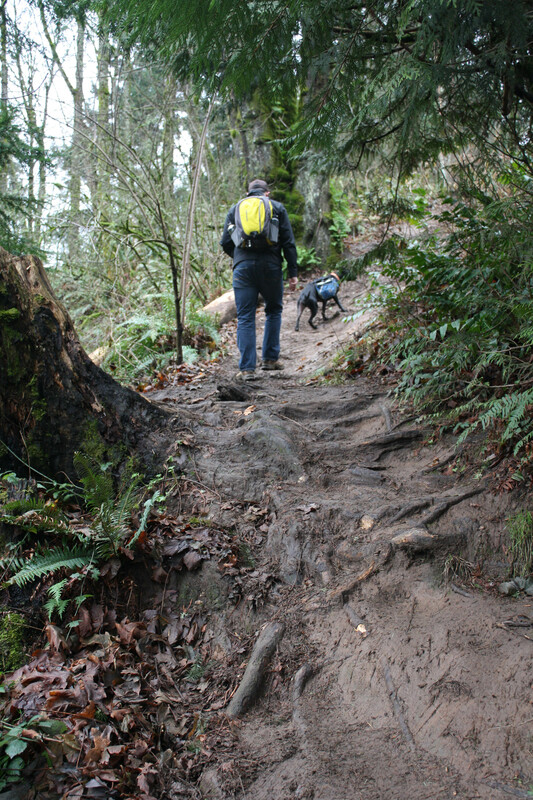 It was another steep one and we wound through the forest on a nice trail. It was very nice, quiet trail. We hiked for a little while longer and came to another parking lot off-shoot and then another steep part of the trail. We decided to turn around and head back. I was doing pretty well, but my left knee had bugged me a little bit on parts of the hike. Not too bad, not enough to not hike, but I didn’t want to get too far away from the car either. My right hip also bugged me a little at one part of the trail–which was weird because I rarely have hip issues. Who knows. 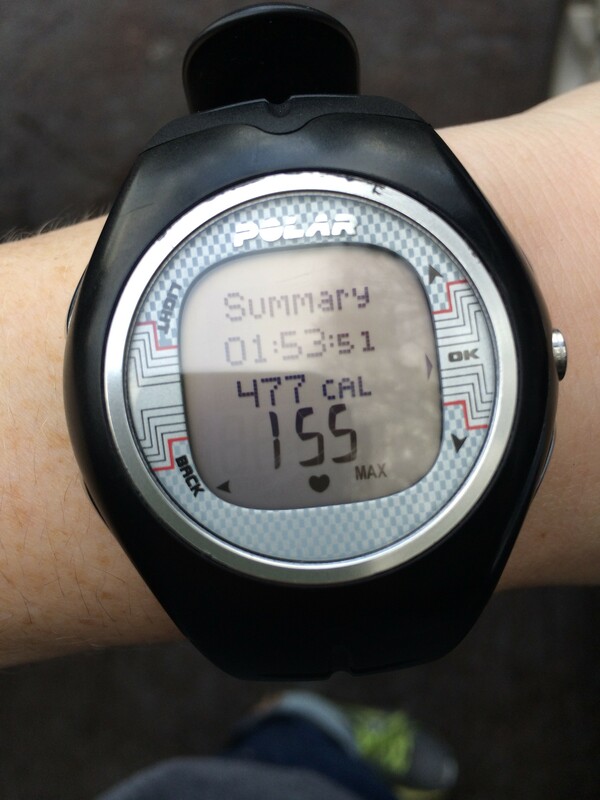 Maybe it was the steepness of the trail, maybe I was walking weird, maybe I’m just out of practice hiking. Bella was absolutely filthy. 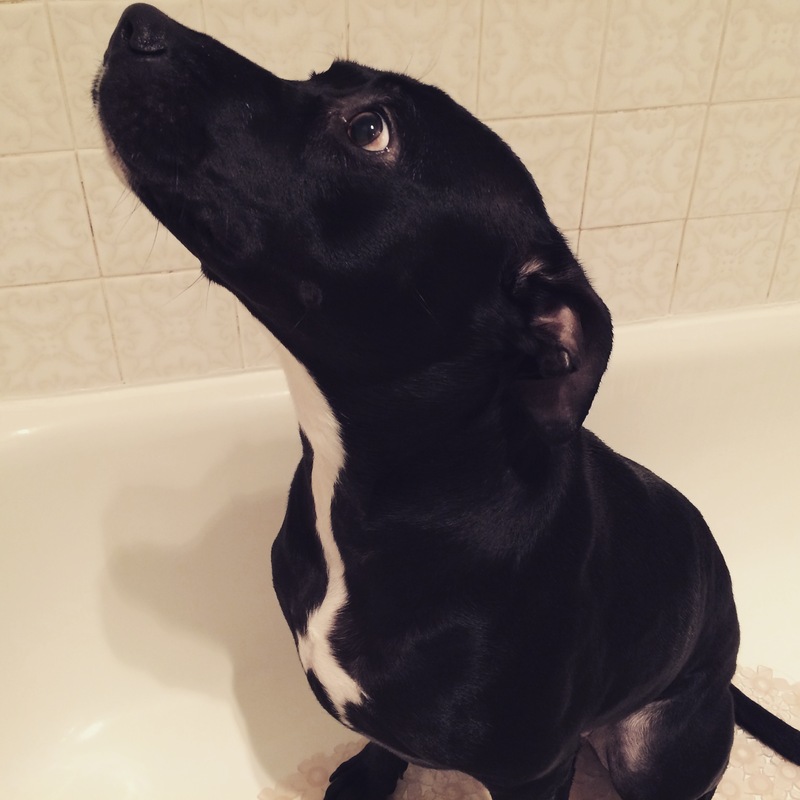 (She got a bath when we got home!) It felt fantastic to get home, take a warm shower and then get into clean clothes. I did a little after-Christmas clearance shopping and then we had spaghetti squash for dinner. 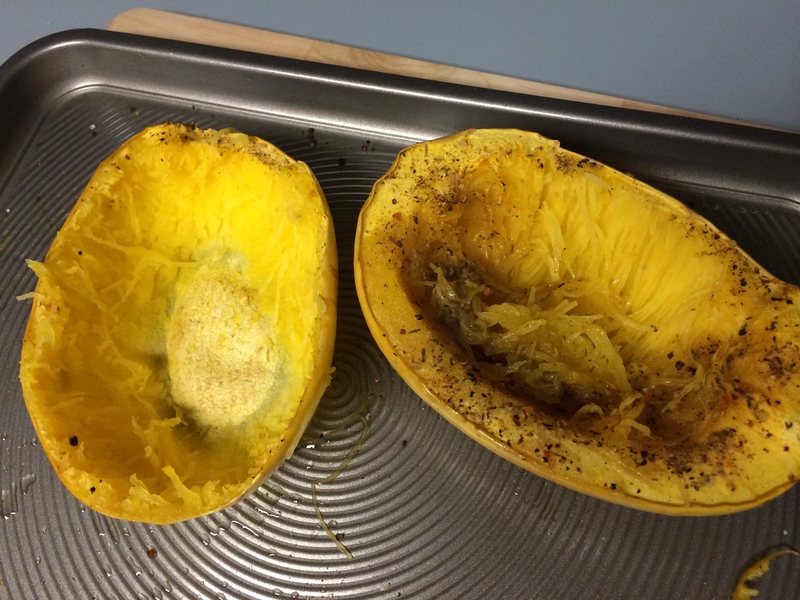 I bake the spaghetti squash for about 45 minutes at 375 degrees. I season them with grapeseed oil, salt, pepper, and the Costco non-salt seasoning. It’s delicious. I love how healthy the spaghetti squash is without the pasta guilt after. 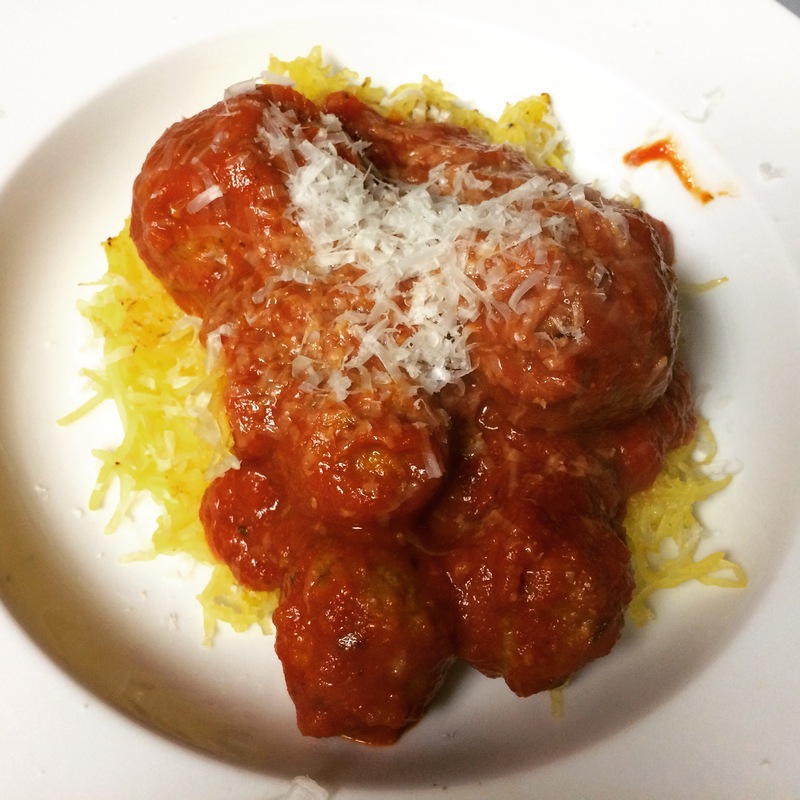 I added some turkey meatballs to the sauce, topped with fresh parmesan. Good, healthy, filling. 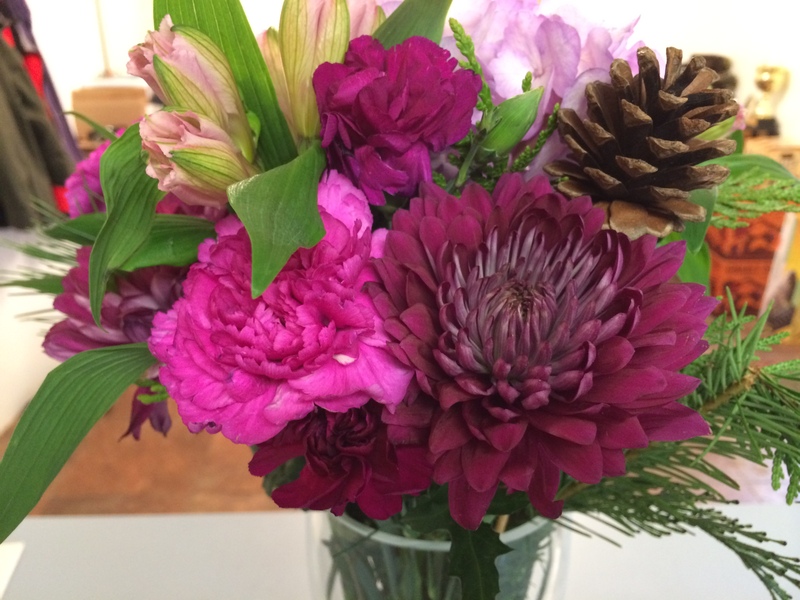 Sadly, Michael ended up getting a head cold Friday night and was sick the rest of the weekend. 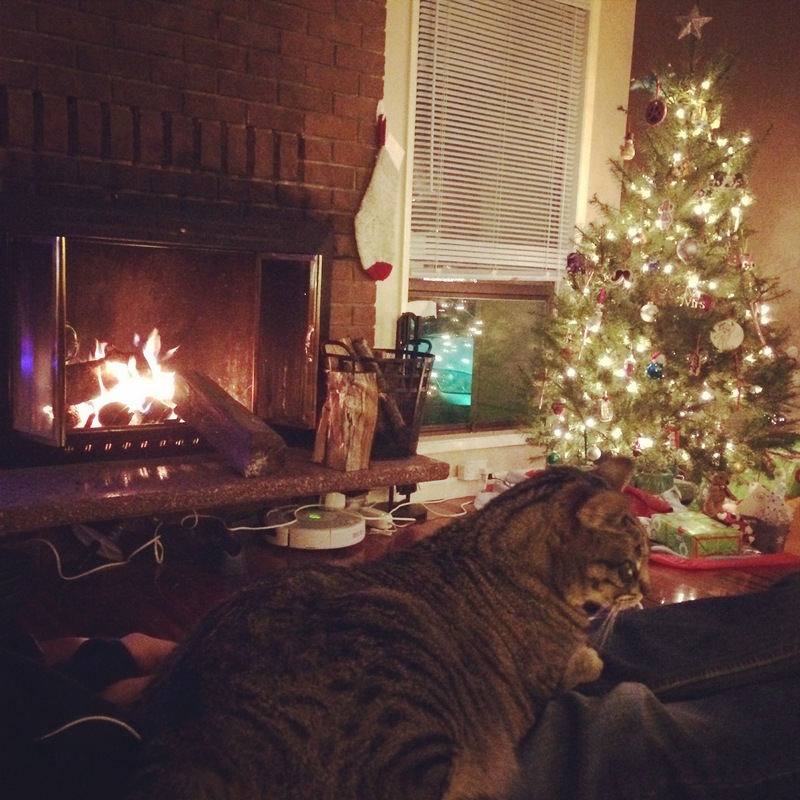 We didn’t end up doing much the rest of the weekend but I did get a lot of stuff done around the house. 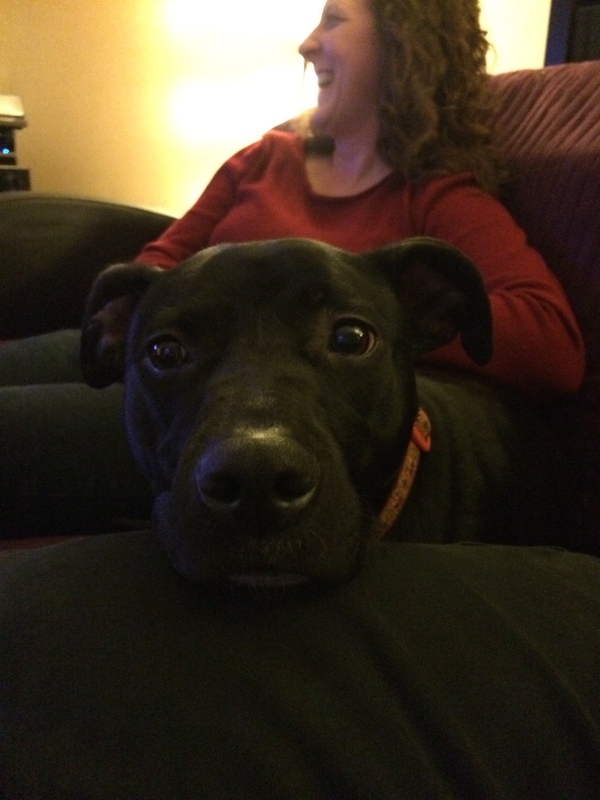 Let’s hope he’s better by New Year’s!